What is MFA and How Does It Work? MFA, or Multi-Factor Authentication, is a security system that requires multiple login criteria before granting access to a system. 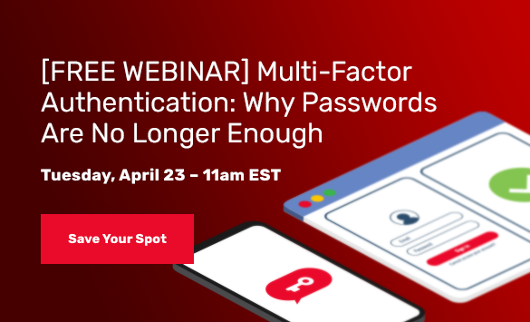 Unlike passwords and passcodes which are static credentials, MFA-protected systems require real-time user identification via a secondary source like a smartphone or other mobile device. This added layer of security ensures that if login credentials are hacked or stolen, criminals still cannot access the system. We can liken this extra protection to the two-man rule that applies in military operations, where two separate keys are turned simultaneously before granting access to weapons systems. Creating a more secure and dependable working environment. While an added layer of protection may feel like a nuisance, it’s important to realize that standard password protection is becoming less and less effective. Reducing identity theft in and out of the workplace. Identity theft is the fastest growing crime in the United States. It’s imperative, therefore, that businesses deploy “adaptive” security measures to protect themselves and their employees. Ensuring regulatory compliance standards are being met at all times. Making sure company data stays protected isn’t a choice for most companies, it’s a legal necessity. MFA helps companies ensure that their customers’ and partners’ data stays safe at all times and that due diligence is shown when securing sensitive information on company servers. When and How Should MFA Be Implemented? There is really no wrong time to implement an MFA solution. However, most companies experience this need most when scaling their organization and increasing their number of active users. Many data breaches occur without companies even realizing. When multiple users access the same system at different times of day and in different IP locations, it can be difficult for system administrators to recognize anomalies in data usage. The latest improvements in MFA technology take into consideration context and user behavior monitoring. If user logins are being used from random locations or on unfamiliar devices, MFA recognizes these discrepancies, notifies appropriate contacts, and blocks user access. There are a number of ways that companies can utilize MFA technology. It involves retrieving and verifying MFA “tokens” sent through SMS, email, and push notifications while establishing access restrictions to a company’s infrastructure. Most companies partner with third party security solutions that help them enroll and manage their users over a secure network while allowing them to utilize the benefits of multi-factor authentication. Multi-factor authentication has become an critical part of creating a safe and secure business network. As user mobility and remote system access continues to gain importance for modern organizations, strengthening data security through adaptive, real-time identification protocols is an integral part of business sustainability.